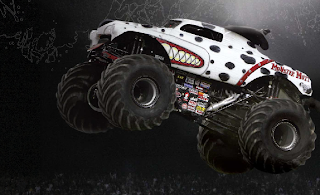 Monster Jam comes to the Energy Solutions Arena this month! I went last year and it was a lot of fun! and loud :):) This year there are also 2 local drivers. 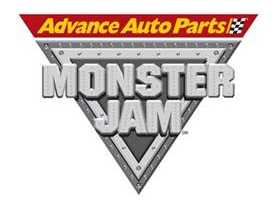 Win 4 Tickets to see Monster Jam!! 2 Winners!! Utah Only. Tickets are for the Feb 25th 7:30 Show. Please only enter if you can make it. Giveaway will end Friday, February 17th at Midnight MST. Winner will be chosen by Random.org. Tickets provided by Lulubug LLC / Jack Hart Associates. I received no compensation. All opinions are my own. Entries will be verified. All information gathered will be deleted when giveaway is over. Hoping to win for a family that are our dear friends that just lost their dad. His 3 boys and 1 daughter would LOVE to go! Would love to take a couple of my boys! I'd Love to take my boys! We would love to take our son! He has collected all the monster trucks! I think he has over 100. Wahoo monster jam! My son loves monster trucks.. hope to win this one:). This would be a super fun thing to do while visiting the inlaws who are in UT. This would be so fun! I would love to take my daughter and nephew. Thanks for a great giveaway! My 3 boys would love to go to the Monster Jam! My youngest has over 50 monster trucks! My boys would love to go to this. I have my fingers crossed.